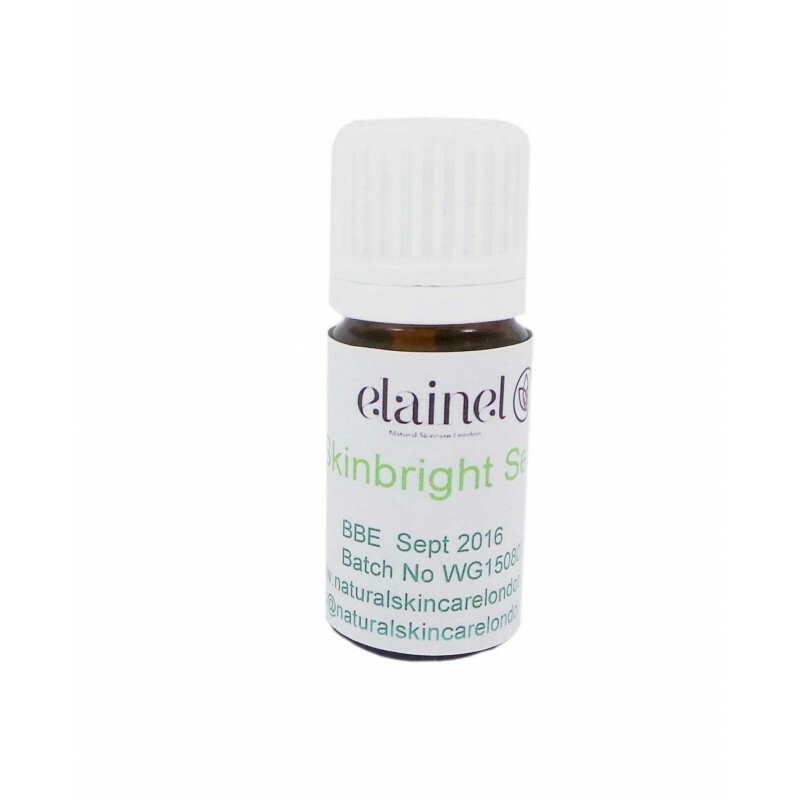 Skinbright Serum: helps with pigmentation and age spots. Apply a couple of drops daily, at night and/or morning onto clean face after facial toner. Rosa damascena flower water**, Anthemis nobilis (Chamomile) flower water**, Aloe barbadensis leaf extract**, Helianthus annuus seed oil, Sodium ascorbyl phosphate, Aqua, Glycerin**, Lactic acid, Rosa canina (Rosehip) fruit oil**, Squalane, Benzyl alcohol, Amorphophallus konjac root powder, Tocopherol, Cucumis sativus (Cucumber) fruit extract**, Aniba rosaeodora (Rosewood) wood oil, Dimethylmethoxy chromanol, Sodium benzoate, Potassium sorbate, Salicylic acid, Propylene glycol, Allantoin, Citrus aurantium (Neroli) flower oil, Cananga odorata (Ylang Ylang) flower oil**, Sodium PCA, Sodium lactate, Citric acid, Urea, Oleth-20, Hydrolyzed soy protein, Helichrysum italicum flower oil**, Cymbopogon citratus (Lemon grass) leaf oil**, Sorbic acid, Phenoxyethanol, Sodium phosphate, Yeast extract, Sodium Hyaluronate, Sorbitol, Ethylhexylglycerin. Benzyl Alcohol*, Linalol*, Citral*, d-Limonene*, Geraniol*, Benzyl Benzoate*, Farnesol*, Benzyl Salicylate*. **Organic ingredients, *component of natural essential oils.